MSE Creative Consulting Blog: Can You Find the Low Pressure Center? 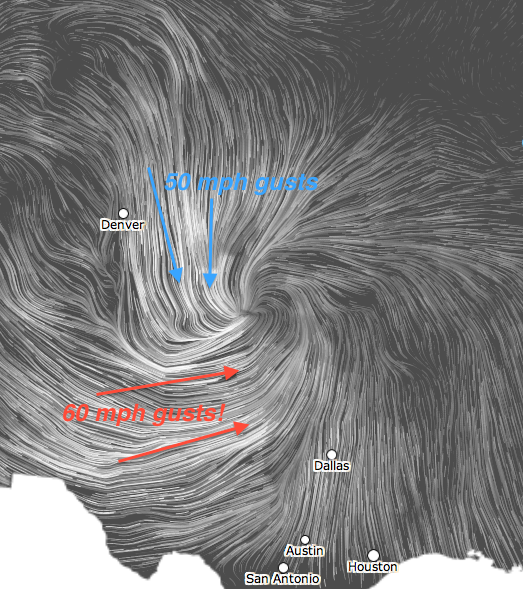 You can clearly see the counterclockwise winds swirling around the low pressure center over southwest Kansas. There is now considerable blowing dust over the southern High Plains with the 60 mph gusts and temperatures are in the mid-20s over western Nebraska where it is snowing hard with gusts up to 50 mph. You can see the real-time wind animation here. 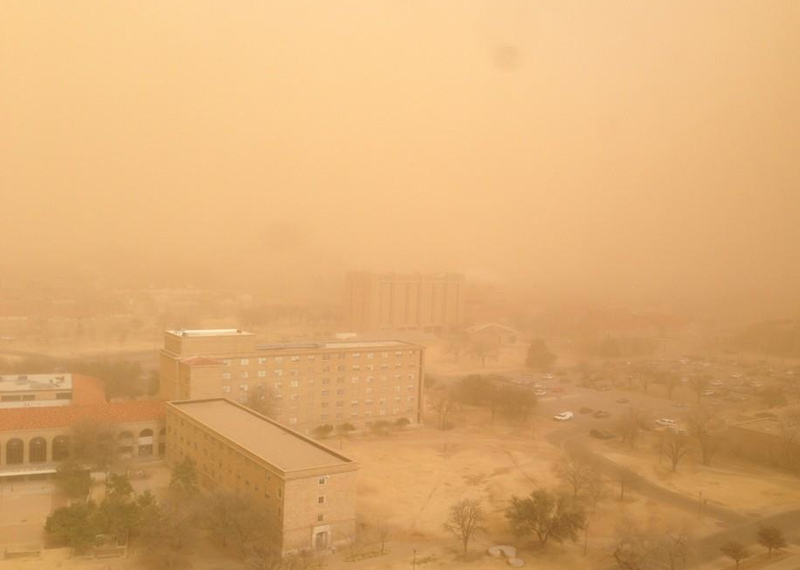 UPDATE: Eric Bruning, a cartographer in Lubbock, TX, just posted this photo on Facebook. They are experiencing blowing dust with visibility less than one mile. ADDITION: More dramatic photos of the west Texas dust storm here.